Bruce Springsteen will deliver both a Netflix special and a new album derived from his long-running "Springsteen on Broadway" live show, and now the first peek at the film has arrived. As previously reported, the film is a compilation of his 236-run of shows in New York. It features solo acoustic versions of some of the Boss's biggest hits, as well as narrative monologues and even a guest appearance from Patti Scialfa. Hear him crack jokes and sing tunes in the trailer below. 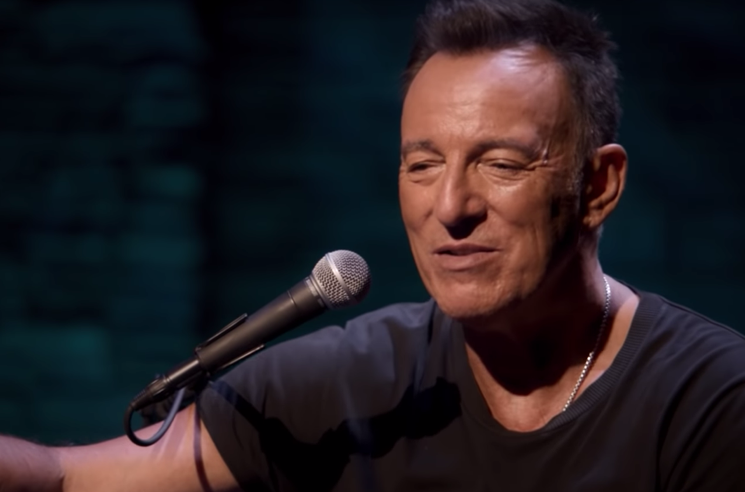 Springsteen on Broadway hits Netflix on December 16. The accompanying album is out December 14 via Columbia Records.